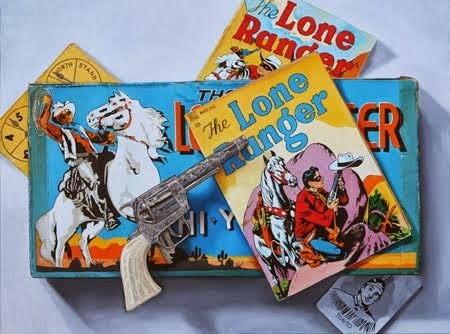 I love doing commissioned paintings that included old photos and memorabilia. 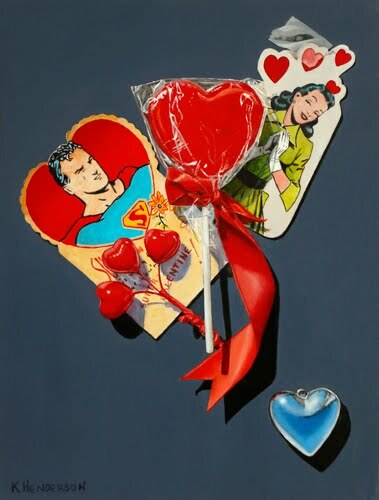 The painting creates a very personal image of loved ones. 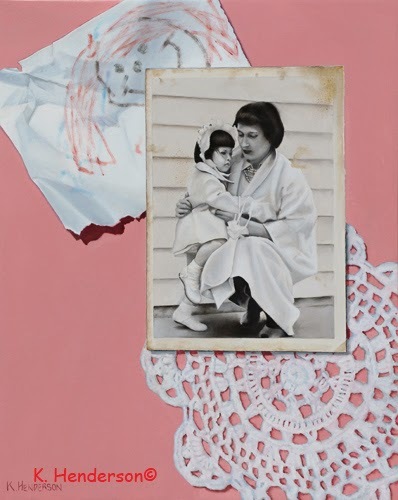 This photo used for this painting includes a Mother and daughter, a child's drawing and a hand crocheted doily. 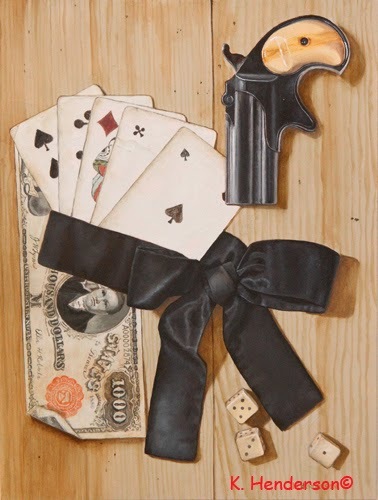 Aces and Eights,12 x 9, oil on board. 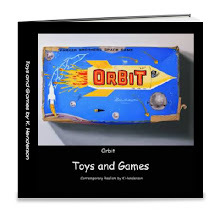 I have a nice collection of vintage toys and figurines. 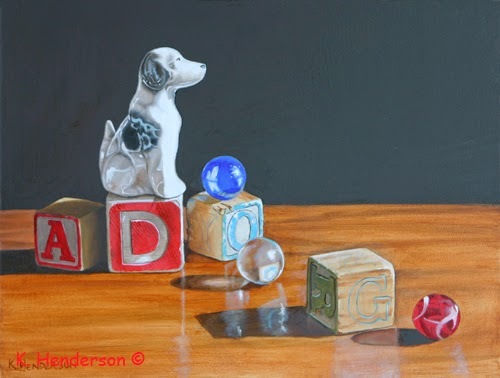 I like painting the different textures and the reflection of light. 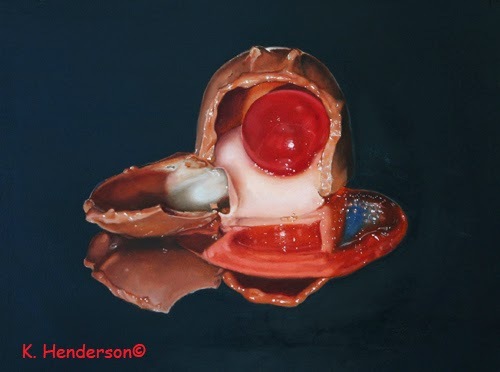 Cordial Cherry , 9 x 12, oil on masonite. I don’t know if I wanted to simply capture the beauty of the cordial cherry or if I was just looking for an excuse to buy myself a box of chocolates! Yum! Read about the History of the Cordial Cherry Here and Here, too. The works were chosen from a field of 144 artists. 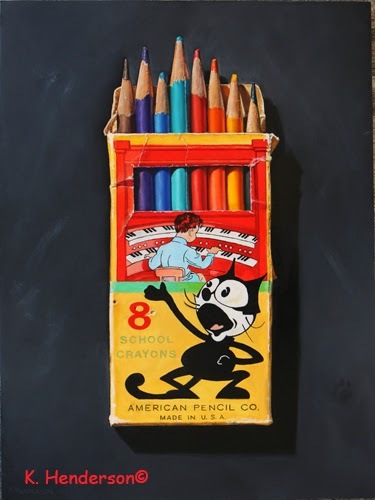 The exhibition will be in the Fort Wayne Museum of Art galleries September 20th- November 30th. Apples and Stripes is a continuation of my series of black and white striped paintings. 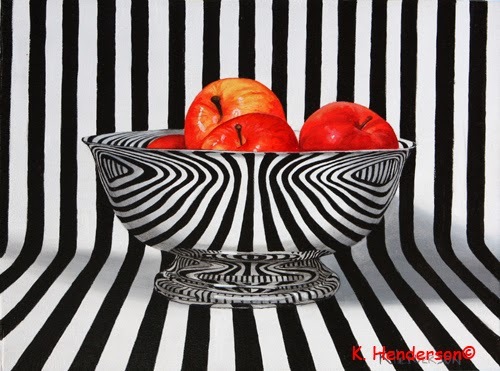 It shows a group of apples in a silver bowl against a striped background with the stripes reflected in the silver.